DUO EDSOUL and Fang DaRhythm better known as The Rhythm Sessions are hard at work. 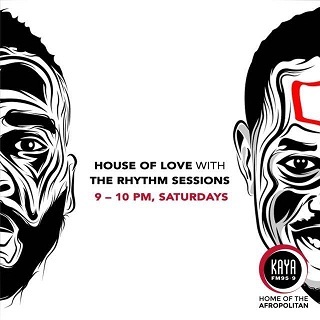 Familiar with Kaya FM listeners for their show ‘Sound Supreme’, the guys have been rewarded with a show from 21:00 to 22 :00 on Saturdays titled ‘House of Flavour’ that began hitting airwaves since October 6. Regarded as stand out DJ’s and impeccable producers for the past 2-years, they are credited for having produced chart topping singles, international remixes and the launch of their debut album ‘Music Is Love’ in 2017, along with a current new single ‘Love Is The Way’. To celebrate their efforts this weekend Edgar Mfaba and Hlalefang Nomganga, will spin vinyls alongside top SA musical stars at ‘House Of Love’ launch event at The Venue- Melrose Arch –October 27, 2018. The premier event will be used to celebrate an extension of the brand and a new radio show slot with fans and key industry players on the evening. “We believe that universally music is a love language. Music unites age, race, language and religion across the globe and we strive to play our part in that,” they commented in unison. Kaya FM’s boss Greg “The Maestro” Maloka will flex his muscles on decks (for some-very first time) alongside DJ Bobo, Lali Spirit, Lerato Kganyago, Fistaz Mixwell, Alpha & Omega and DJ Lesoul. The event is brought courtesy of Agile Marketing, a team of young professionals who are passionate about meaningful work that uplifts others. Yep, the country is in need of much love, or kanjani?